This makeup remover has many good qualities which is why I love it sooo much. With only one wipe, all of my makeup is removed. (I do a full face of makeup). It has a pleasant "clean" odor, doesn't leave my face greasy, removes waterproof mascara, and is affordable and travel friendly. Only issue is that it can dry out the skin a little bit and tingle slightly on sensitive area. Wouldn't recommend for sensitive skin, but otherwise it's great. I love these make-up removing wipes. They are gentle on my skin. They do not irritate my eyes. The do not leave a gritty or greasy feel on my face. They smell really fresh. 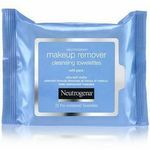 Neutrogena night calming wipes in my opinion the best makeup remover cloths on the market. 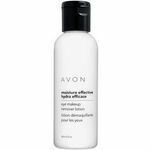 They are nice and thick with a great scent to them, They remove all of my foundation makeup with just using one wipe, they are gentle and do not dry out my skin nor do they leave a residue sticky feeling behind. I don't wear makeup very often, but when I do it's usually for a special occasion. Of course, that means tons of makeup that my skin generally isn't used to. Luckly. I found these wipes. These wipes soothed my skin, yet also clean my skin. I definitely recommend them. The only brand of make up removing cloths to use! I sue this product every evening. Whether I am wearing make up that day or not. It is a refreshing nightly ritual for me. I can go to bed knowing my face has been cleared of all the grim of the day. It is soft and gentle without a heavy scent. It does not burn and leaves my skin feeling soft. I do not wear makeup very often, but when I do I usually wear dramatic makeup, such as smokey eyes. When it comes time to remove all the makeup it can be a pain, but I found that using baby oil works perfectly for me. However there are some nights where I am just lazy and forget to take the makeup off. 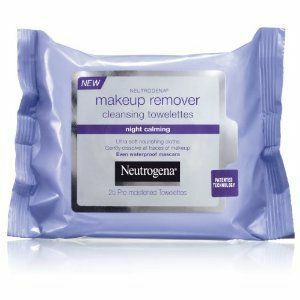 I bought these Neutrogena Make-up Removing Cloths to keep in my nightstand for those kind of nights. They work perfectly for me! It is so easy to just grab these wipes and take off my eye makeup. Not only does it remove all of my makeup, it does so without taking a lot of time and without scrubbing harshly on my eyes. I love that about these wipes since I have always heard that rubbing roughly on your eyes can causes wrinkles later on. I also love the scent on these wipes. The lavender scent is very relaxing and not overpowering. I would recommend these make-up removal wipes to anyone who wants a quick, easy way to remove their makeup. They really do work! 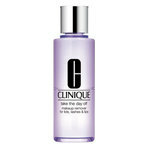 This is an ultra gentle, effective product that removes makeup like a dream. Removing makeup is one of the most important steps in cleansing my face, so I want an effective, but not drying or harsh makeup remover that doesn't irritate my skin. These towelettes do exactly that, and I am in love with them. I definitely recommend this product, and it works well for all skin types. 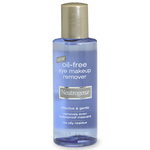 This is an innovation from Neutrogena that I am loving! Effectiveness One towelette holds the power to remove an entire face full of makeup. It lifts away stubborn, waterproof eye makeup (it really does an amazing job getting rid of eyeliner and mascaea), and sweeps foundation, concealer, and other face makeup away. This is an effective makeup remover that doesn't dry out or irritate my skin in the slightest. It is really remarkable how great this product is. Ease of Use All it takes in one towelette to sweep away an entire day's worth of makeup. I no longer need to spend forever scrubbing away at my stubborn eye makeup or spending minutes trying to get a bare, makeup free face. I really love how much easier my life is now that I use these towelettes. Refreshing and they help me sleep! These are seriously wonderful, I use these before I go to sleep -they're great about getting off 90%-99% of all of my makeup, they aren't rough on skin so they're good for sensitive skin, too, I think, and just like their title says, they do actually help calm you down so you can focus on going to sleep faster. They're great and I love them! Plus, they smell great! Finally a product that completely removes my makeup. There are about a billion different makeup removers that all claim to remover makeup (especially on eyes) but they don't work for me usually. Some of them will even leave residue on my eyelashes which can definitely be annoying while trying to remove makeup. A lot of makeup remover will not even remover mascara for me, but this was different. It actually cleansed my face and made me feel clean before I go to bed. Just as great as the original! I just bought these last night 12-10-13, and used them immediately to remove my makeup and they are fantastic! They're just as amazing as the original, in the blue packaging, if not better. They clear my make up completely off, and cleanse my skin, AND it's great for waterproof makeup. My skin feels soft after I use it and it's not harsh at all for me. The aroma is what sets the night! After I use the wipes I don't throw them away! I fold them and set them on my night stand so I can smell the aroma while relaxing to go to sleep.